The issue of how we represent global cultures and associated material collections has been at the core of museological and postcolonial theory in recent years, with different formulations wrestling with the questions of how museums can address their histories and ensure the relevance of their collections. Key to this debate, are the terms employed for the objects themselves and the categories that museums deploy for the conventional purposes of interpretation and display. For example, the uncritical use of terms such as ‘religion,’ ‘art’ or ‘ethnography’ have a profound effect on how material culture is presented in museums and studied in universities. There are a number of key factors in this debate. One is the provenance of the objects. 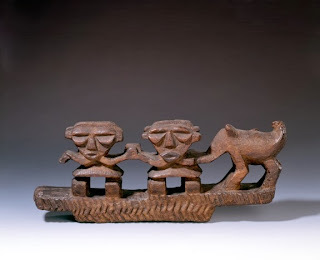 Another is the ideological and – often – colonial context within which the objects were acquired. A third is the stated and inferred purposes of museums, which have their own ideological history. A fourth is the biographical positionality and status of the collector. There would also be the methods at different stages of acquisition for providing a description and valuation of the objects. And finally, there are the terms employed for the objects themselves and the categories that museums deploy for the conventional purposes of interpretation and display. For example, the uncritical use of terms such as ‘religion,’ ‘art’ or ‘ethnography’ have a profound effect on how material culture is presented in museums and studied in universities. The University of Stirling, through the pioneering approaches to the study of categories under the descriptor Critical Religion, has been instrumental in deconstructing the term ‘religion,’ with a significant impact on the study of global cultures. Through a collaborative project between the University of Stirling and National Museums Scotland, this work has been applied to the context of Tibetan material culture and the western construction of Tibetan Buddhism in the late nineteenth and early twentieth century, in particular by missionary and military collectors. This has resulted in the completion of a PhD by Inbal Livne with the title Tibetan Collections in Scottish Museums 1890-1930: A Critical Historiography of Missionary and Military Intent. Following on from this project, this workshop will explore the way in which academics within museums and universities are challenging historically assumptive terms in the identification, interpretation and use of material culture evidence. We will also examine how collaborations between museums and universities can encourage and develop new ways of examining museum collections. The workshop will include a brief description of the collaborative Tibet project, and papers from museum professionals working directly on the practical application of these theoretical issues in relation to the display of Tibetan material culture. Missionary involvement in collecting for museums in the UK, and issues that arise in that context. The construction of problematised terms such as ‘religion,’ ‘art,’ ‘ethnography,’ etc. in the context of the study of global material culture. The examination of new and creative collaborations between museums and universities in developing the deconstruction of historically specific classifications of global cultural practices. Historical processes of engagement and revision with regard to museum and archival collections. 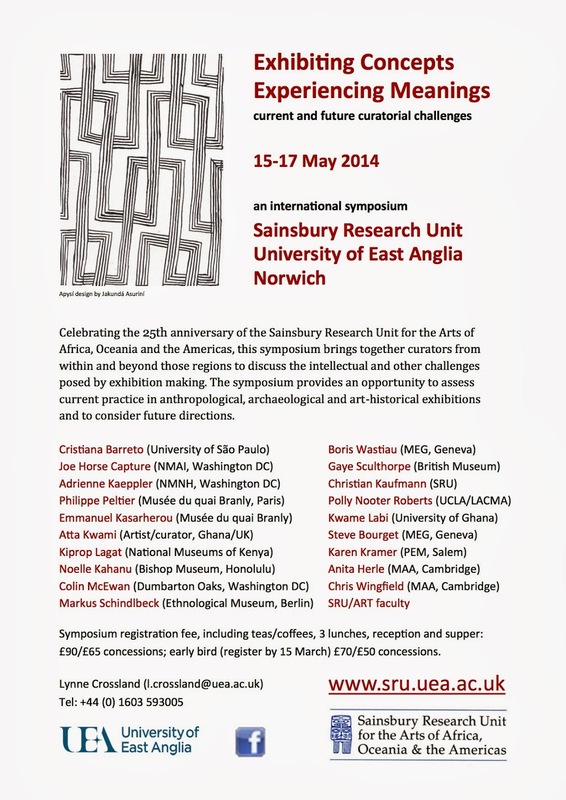 The impact of postcolonial and postmodern thinking on museological and archival practice. Please note that we are looking to publish a selection of papers from the workshop in an edited volume; acceptance of an abstract does not, at this stage, imply acceptance for publication, but all papers will be considered. Further information on this will be forthcoming at the workshop. Please email abstracts of approximately 300 words to Rajalakshmi Nadadur Kannan at rajalakshmi.nadadurkannan@stir.ac.uk by 7 February 2014, to whom all queries should be addressed in the first instance. An exploration of the surprising connections between Northern Scotland and the South Pacific, from the nineteenth century to the present day. This exhibition in King’s Museum displays some of the items in the University of Aberdeen’s internationally important Pacific collections for the first time in decades, and reveals new research conducted by the Fijian Arts Project of the University of East Anglia and University of Cambridge. 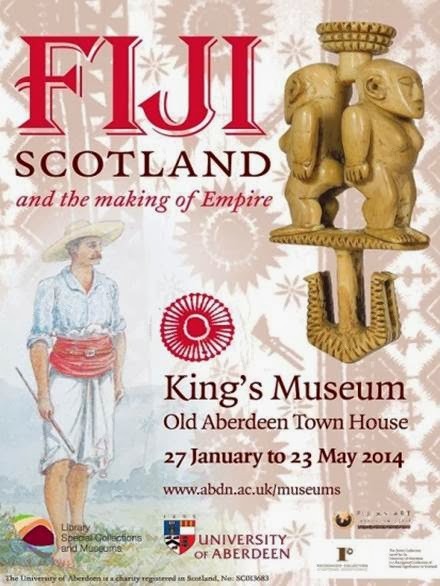 A reminder of the complexities of the North-East of Scotland’s contribution to the British Empire and continuing international politics, Fiji, Scotland and the Making of Empire also shows the complexity and beauty of Fijian culture as it has developed over the past few hundred years as part of the network that links the Pacific Islands and the wider world. How many of us turn to Wikipedia when needing a quick point of reference and have been horrified with being faced with inaccurate information, lack of information or surprised by the quality of an article? Indeed, how many of our potential visitors come across the institutions we work in from having stumbled upon our Wikipedia page? In this interesting article by Hrag Vartanian, a radical approach taken by Brooklyn Museum is discussed and thought given to how the museum community and scholars can involve themselves through Wikipedia in correcting many of the misrepresentations present in cultural knowledge on the internet. 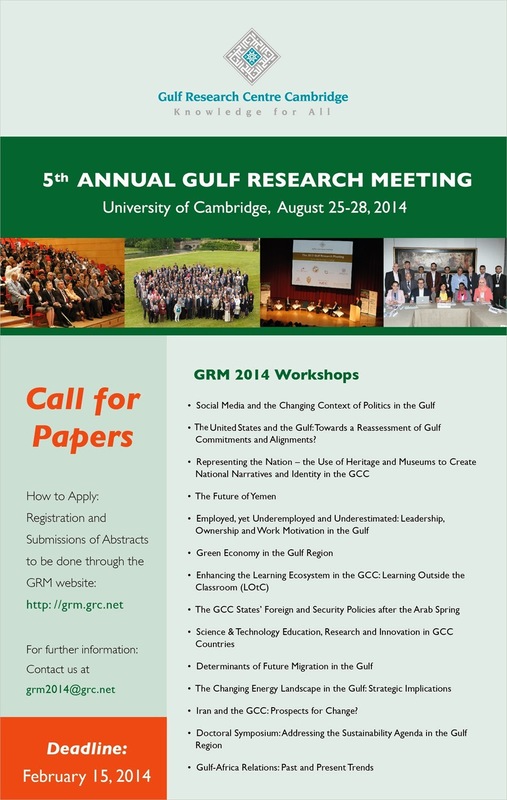 February 15th is the closing date for abstracts for the Gulf Research Meeting 2014 conference at the University of Cambridge, UK, for the three-day workshop "Representing the Nation – the use of heritage and museums to create national narratives and identity in the GCC." March 24th, from 5.30pm, a wine reception and dinner at Corpus Christi College. March 25th, 9.30am-6pm, one day conference in the McCrum Lecture Theatre, followed at 6.30pm by the opening of an exhibition on Tapa cloth in the Museum of Archaeology and Anthropology. All fees include the wine reception, dinner, conference, conference catering and exhibition reception. The Pacific Arts Association (PAA) invites you to attend a 2-day symposium focused on both the ancient and contemporary connections amongst Austronesian peoples/artists. It will be hosted by the Tjibaou Cultural Centre in Noumea, New Caledonia, on 24-25 May 2014. The objectives are to explore the ancient connections of our Austronesian ancestors as well as to address the many contemporary connections amongst indigenous art and artists. The increasingly close engagement of Asian and Pacific Island nations creates a need for an understanding of the complex region of Oceania beyond the patterns imposed by Western history and influence. Austronesia - ajourney to the past and present is an extension of the collaboration since 2007 between the Tjibaou Cultural Centre of New Caledonia and the Kaohsiung Museum of Fine Arts of Taiwan, whose directors realized the lack of intercultural exchange between the indigenous peoples of Pacific and Southeast Asian countries, whose common ancestry is Austronesian. In its forward-looking ‘Contemporary Austronesian Art Project’ the Kaohsiung Museum of Fine Arts took the initiative to promote Taiwan’s Indigenous artists, establish relationships with contemporary Pacific artists and dialogue with Pacific cultural institutions with a series of major exhibitions and an extensive Pasifika artist-in-residence programme. This symposium will provide curators, artists, and scholars in the Pacific region (and beyond) the opportunity to view the major exhibition Kanak, L’art est une parole (originated at the Musee Quay Branly, curated by Emmanuel Kasarherou).